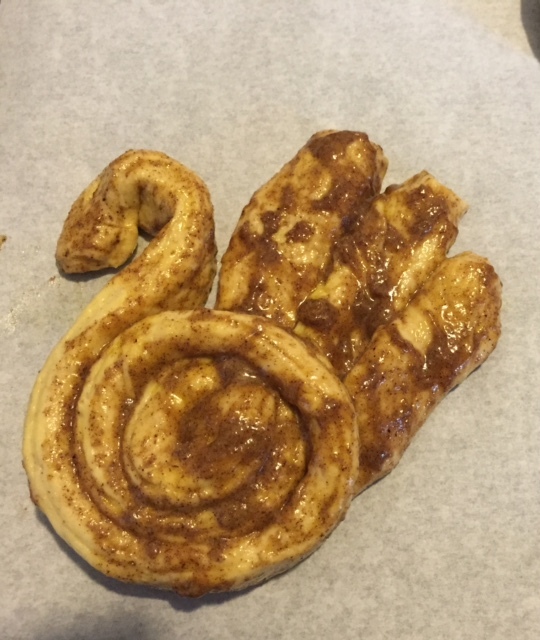 No I’m not talking about a deli sandwich wrap but warm cinnamon rolls to share in the morning while preparing Turkey Day dinner. 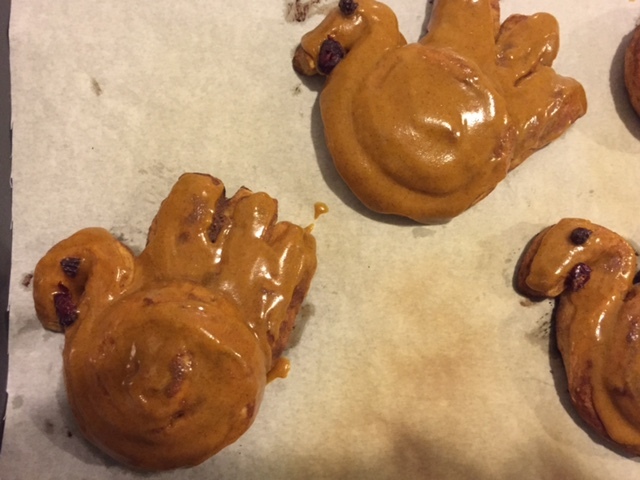 To be honest, I enjoy baking for Thanksgiving more than I do for Christmas. I’m not exactly sure why but perhaps it’s because I have just a little more time on my hands than when the holiday crunch sets in. I can promise you one thing, these turkey rolls are about as easy as it gets without buying something from the bakery. 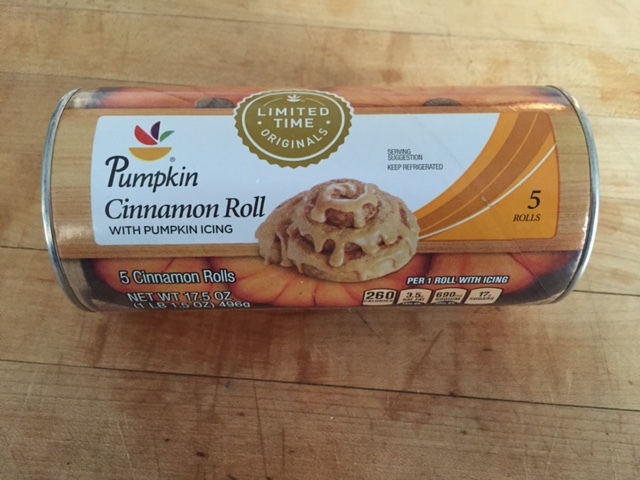 And this is what I mean by easy— I buy cans of seasonal cinnamon roll dough from Stop & Shop that has pumpkin icing. If you can’t find these in your local store, don’t worry. 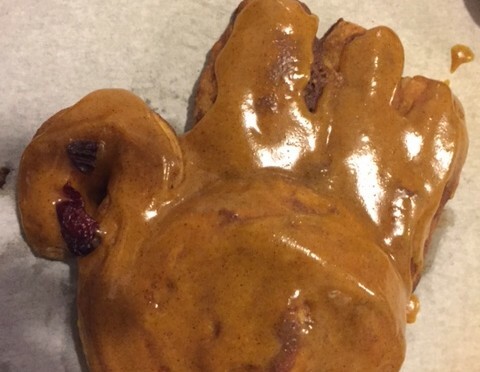 You can get the same result by blending in some pumpkin butter (similar to apple butter) into the provided frosting. If you can’t find that you can use apple butter. Bake in a preheated 375° oven for about 10 minutes or until lightly brown. 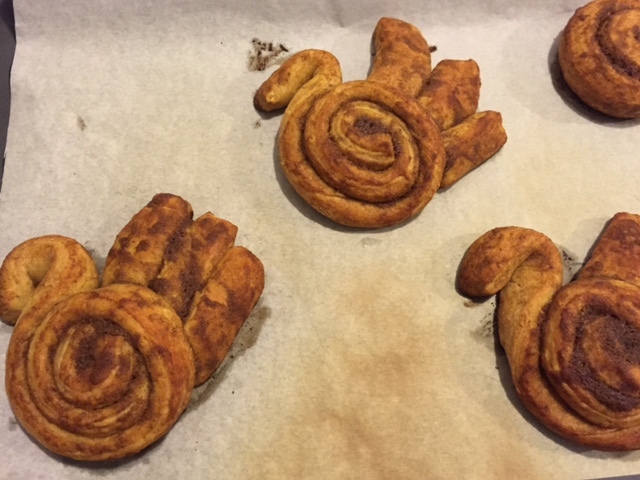 Don’t overbake or they will be dry. While warm, spread with icing and decorate the faces with raisins and cranberries.